Peddlers Market Customer Appreciation Day Oct. 20! Customer Appreciation Day Saturday, October 20th! 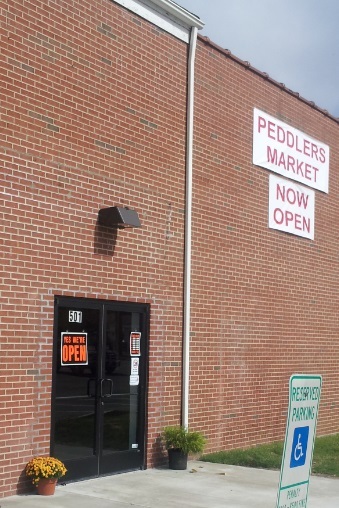 Peddlers Market, an indoor court of shops, opened for business on October 5, 2013 in what was once the Rankin's True Value hardware store. Rankin's moved to the other end of the shopping center and now this space is full of wonderful things to see and buy! 5th Anniversary Celebration and Customer Appreciation Day! The space has been repainted and it is clean and bright. The concrete floor has been painted a nice light shade of gray. It looks so different from when it used to be the hardware store. I couldn't get over the transformation and how big and open it looked inside. 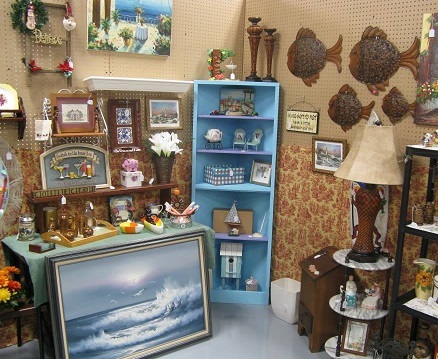 Peddlers Market offers a wide variety of new and used merchandise. Their shops include sports memorabilia, housewares, gifts, home decor, books, toys, antiques and fine art. The merchants offer items to fit every budget and style. From seaside to country, everyday needs to leisure and fun, they offer wonderful surprises around every corner to make your shopping experience fun and exciting. Merchant shops are available for lease. Shop sizes and prices vary and this is a great way to try out a new business, open a satellite shop for an existing business, or even clear out that garage or attic space. Peddlers Market's court of shops is indoor, climate controlled, well-lit and secure, with security cameras throughout. The staff is friendly, professional and strive to offer the best shopping and customer service to all of their guests.